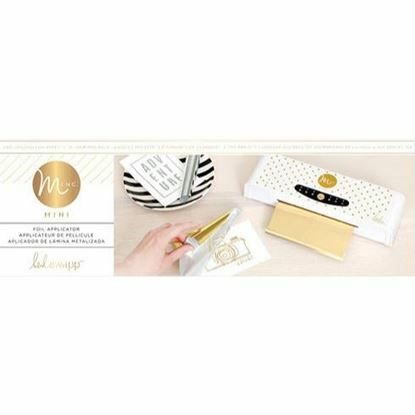 The Minc machine is a heated system for foil application. Included in this set: 6 Inch Foil Applicator, Transfer Folder, Foil and Art Prints. Please Note: When creating your own designs, you need an image that has been printed by a Laser Printer. If you do not have a laser printer at home, you can run your prints through a photocopier or save your images to a memory stick and use a local copy centre to print the designs on smooth cardstock using black toner ink.